Brittany is fascinated by the ability of architecture and design to transform spaces by bringing ideas and inspirations to life. She is passionate about the revitalization of our community and takes pride in representing a firm, she believes, will play a key role in the growth and prosperity of our community for years and years to come. Brittany comes to us with over eight years in managerial experience and a genuine love of interior design. At the age of seventeen Brittany was offered her first promotion into a leadership position, and graduated from Rossville High School a year early in order to accommodate that opportunity. She attended college online through the University of Phoenix where she studied for her Associates Degree with a Focus in Business Administration. Brittany is an active member of the community and likes to volunteer her time frequently. 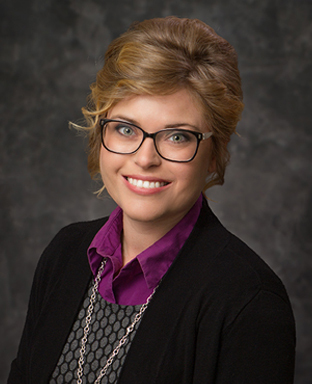 She currently serves as the Co-Chair of the Civic Engagement Committee with the Salina Area Young Professionals, helping to organize community events that raise money for local charities, the Board of Directors for The Friends of the Smoky Hill Museum, and the Salina Arts and Humanities Commission. Additionally, she serves as a vocalist for the Worship Team at CrossPoint Salina. As our Office Manager, Brittany looks forward to providing support for our architects and designers on a daily basis. Brittany’s detail-oriented, creative approach makes her flexible and fun to work with. Brittany has been in Salina for over nine years now. She is the mother of two boys with whom she spends a large portion of her free time, hiking and playing outdoors. For fun she enjoys the culinary arts, reading, photography, and Kansas basketball. © 2019 Jones Gillam Renz. All Rights Reserved.